Drop crumbled raw meat into 1 qt. lightly boiling water, seasoned with chicken base & beef base. Cook 10 minutes (or until meat is brown). Cool skim off fat. Add 1 more qt water, vegetables, tomatoe sauce & seasonings. Cook just until vegetables are tender. (still firm) Add water to taste. Reheat yield 12 servings." Some of the questions I had after seeing this were, "How much does this recipe reflect the foods of Alice's Danish pioneer ancestors? How much has this recipe changed over four generations removed from Denmark?" My friend Stephen Shepherd took one look at the recipe and said, "Not pioneer, not Danish." After all, MSG, canned tomato sauce, instant processed soup base? I first turned to The Internet (DUN Dun dun! ), that definitive source of all things authoratative, and found a modern recipe for a Danish soup called "gronkaal." 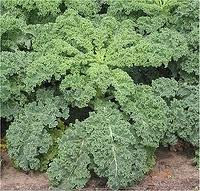 Gronkaal (green kale?) apparently means "green & curly things" like cabbage, kale, or spinach. The recipe I found is for a kale soup, and the recipe called for tomato sauce. Maybe modern Danish cooking has embraced a few foreign ingredients. I have a different recipe for gronkall from 1973 which doesn't call for tomato sauce or hamburger, but does call for a ham bone or ham hocks. My oldest gronkall recipe comes from a second generation Danish immigrant, whose mother came to Utah from Denmark in 1868. I believe the recipe was transcribed in the 1930s. This one calls for 8 different kinds of greens beyond spinach as the base. It also calls for 2 quarts beef stock and pre-cooked meatballs (frickadeller)dropped into the broth. No tomato sauce, no MSG. It looks like some elements of Alice's Danish soup maintained integrity to the original Danish tradition, and she adapted other elements to meet her tastes and needs. It seems that integrity to the original Danish formula was not the highest priority. Instead, the value was Danish identity. For whatever reason, Alice considered this dish as a reinforcement of her Danish heritage. I think that's the important idea. 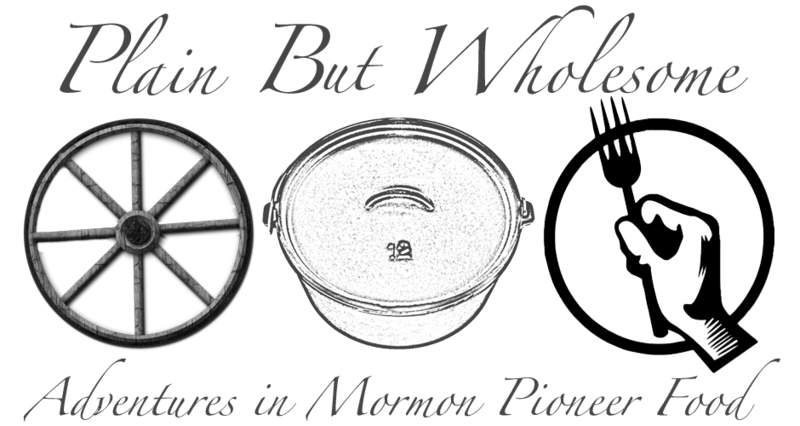 As modern Mormons we don't follow the same religious behaviors as our pioneer ancestors. We place emphasis on different parts of the religion today to reinforce our identity as Mormons. And we adapt the theology to fit our needs. I don't think anyone would expect anything different. I think this is the same approach Alice Hafen took to her identity as a daughter of Danish pioneers. I'd be interested in the recipe for the meatballs (frickadeller). Our family makes these a little differently...so perhaps it is a recipe that has migrated a bit. They come to us via my Swedish great-grandmother, although Germany has a similar word for them. We now call them frikadillars and form the meat into little patties which we then fry and eat. I have seen it spelled many different ways. I have a strong Danish background--both of my mom's grandmother's were born in Denmark. My mom's frickadillars consisted of ground beef, eggs, bread crumbs, chopped onions and some seasonings fried in patties like hamburgers. Work into small balls. If moisture is needed add Segop[evaporated] milk. Roll in flour and drop in soup." Again, it directs that these are soup-associated, like Alice's, and dropped in raw, like Alice's. There's more intact Danish culture to Alice's recipe than is immediately apparent. Frikadeller usually consisted of two meats; pork and beef or veal. Back then, cattle were grass-fed, so they were leaner. The pork helped with flavor added by the fat. The meats were ground very fine, and the seasonings were put into the chopper. Then they were shaped and fried. Grandma served hers with either a tomato based sauce or with a sour cream based sauce. Both were equally out of this world. One last comment about Alice Hafen's soup: It is entirely possible that chicken base and beef base were shortcuts that she took to save time. Not everyone could make a stock or a broth every day; they are time consuming even if they are more nutritious than opening a can. So, I don't think her use of them indicates a departure from her Danish food traditions but a compromise with the New World and all the opportunities that saving a few minutes here and there presented. I defend their use based on the need to save time when you have a family to feed and immediate malnutrition will set in if they are not fed! My husband is PA Dutch. One of his favorite dishes is sloppy potpie. It is a beefy noodle type soup. I make it from scratch (no cans of beef consomme, broth or stock), and it is not terribly complicated. Just like Alice, I cook a piece of beef in water, and season it. In her case, it is hamburger. In mine, it is a roast. I use onion, carrot and aromatics to flavor the broth. She uses the additional broth bases to add flavor. I add potatoes after I take the meat out, shred it and return it to the pot. Then I add homemade noodles at the last minute. The broth is watery at best, but does thicken. The flavor is good if I have used enough seasonings and have done it correctly. However, I would consider myself true to the foodway if I cooked the beef in canned broth, just because of the added flavoring. I don't have to cut up onions, carrots or raid my herb garden. I think that is the point I am trying to make; what we keep is the connection, even if we change it a bit for the sake of convenience.